Using its built-in worldwide airport database, the D2 Bravo series lets you access either of our signature Direct-to and Nearest routing functions by simply pressing dedicated buttons. So, you can fly straight to the location or waypoint of your choice — or find the nearest airport if you need to land quickly. You can view your route on a basic moving map display. Or, follow the HSI course needle to your destination. 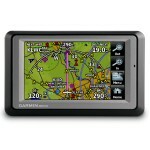 By setting your own waypoints, you can also navigate easily to any location not included in the database. In fact, you can even create Mark on Target waypoints, with the Save Location feature, to easily reference — and return to — locations you’ve flown over. To aid in situational awareness, you can assign customizable data fields to display GPS groundspeed, GPS track, distance from waypoints/airports, estimated time enroute, bearing, glide ratio and other useful flight parameters. There’s also a handy altitude-alerting feature that can be set to notify you when reaching or leaving a preselected altitude. 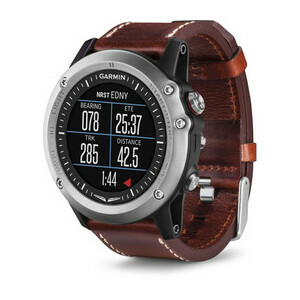 And you can select the stopwatch function for timing approaches or flight legs.What’s more, the baro-based O2 Altitude alert feature provides preset vibrating altitude alerts when you’re operating above 12,500 feet to automatically notify you when supplemental oxygen is required. Plus, various other timer functions with vibrating alerts can be set to remind you when it’s time to switch fuel tanks or perform other time-critical tasks. The VIRB family of HD action cameras (sold separately) lets you capture the beauty and precision of flight in stunning detail. 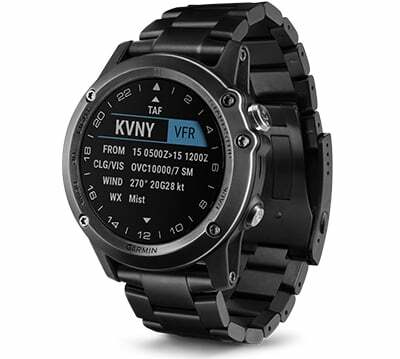 And with its wireless connectivity, your D2 Bravo watch can also be used with your VIRB camera to remotely start/stop video, view elapsed time for recording or even capture high-quality still photos — while shooting live video. 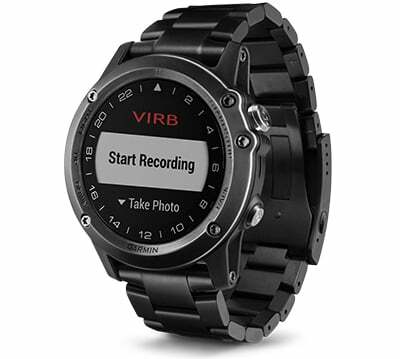 You can even control multiple VIRB cameras at the same time, to capture the action from multiple angles.